The words of William Shakespeare filled the National Stadium on Saturday, 5 August as the Carriacou Junior Shakespeareans brought the work of the English playwright to life at the 2017 Children’s Carnival Frolic. 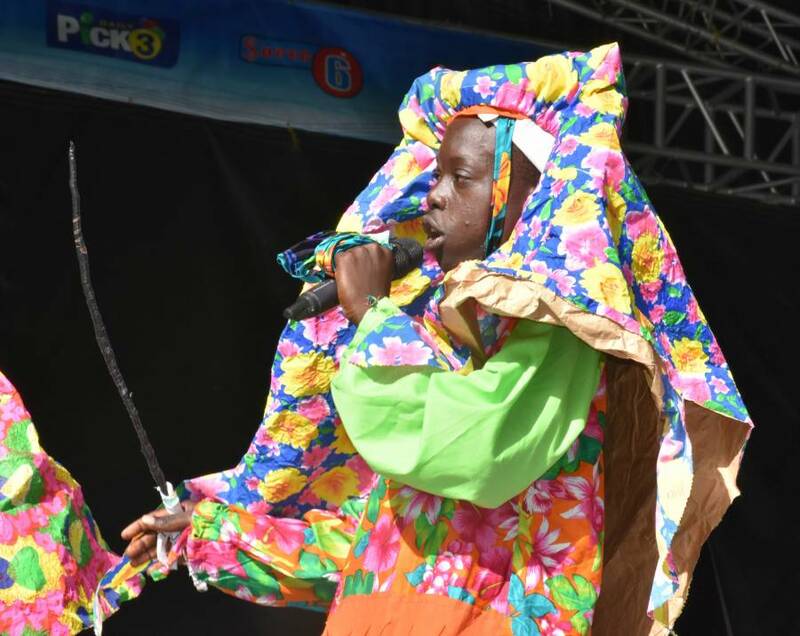 It was a historic moment for the Spicemas event, as for the first time a group of young Shakespeareans were able to participate, showcasing one of Carriacou’s most popular cultural expressions. The trip for the 5 young masqueraders to the mainland was made possible by the Grenada Tourism Authority (GTA), which also funded a Shakespeare Mas workshop in primary schools to keep the tradition alive. 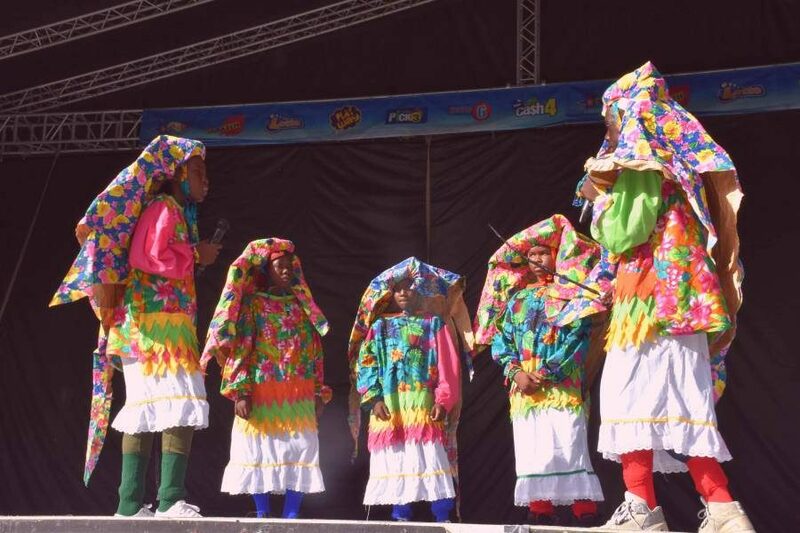 Since February, students in Carriacou have been learning about the significance of the masquerade, the mode of dress and how one properly recites the lines. On Carnival Tuesday in Carriacou, bands from Mt Royal and Brunswick usually converge to challenge each other for bragging rights as to whom recites their lines best. This spectacle usually draws people from all over the island.